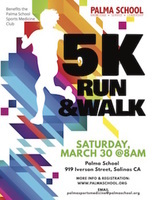 The Palma 5K Fun Run will support the Palma Sports Medicine Club and the Palma Athletic Training Room. This race is a 5K Fun Run & Walk, this race will not be timed nor will it count towards national rankings. Registration packets are available online at active.com and at various vendors where flyers are available. They are also available at Palma School, located at 919 Iverson Dr, Salinas CA, 93901. 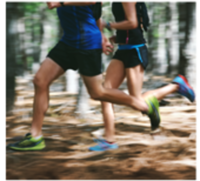 Registration and Check-Ins will begin at 7am and the race will start at 8am on Saturday, April 13. The course is posted on active.com and a map is also available below. Please arrive to check-in and be ready before 8am. You will receive parking information at the time of registration. For people registering on the day of the event, please arrive at Palma School with sufficient time to register. All participants must have a signed waiver. Thank You.